Estate of the artist; purchased 1986 by NGA with funds provided by Robert and Jane Meyerhoff, Phoenix, Maryland. Barnett Newman: The Stations of the Cross--Lema Sabachthani, Solomon R. Guggenheim Museum, New York, 1966. Barnett Newman, Museum of Modern Art, New York; Stedelijk Museum, Amsterdam; Tate Gallery, London; Grand Palais, Paris, 1971-1972, no. 56 (New York catalogue only), repro. in Paris catalogue (shown only in New York). American Art at Mid-Century: The Subjects of the Artist, National Gallery of Art, Washington, D.C., 1978-1979, no. 11 (of checklist for The Stations of the Cross), fig. 14. Zeichen des Glaubens - Geist der Avantgarde. Religiöse Tendenzen in der Kunst des 20. Jahrhunderts, Schloss Charlottenburg, Grosse Orangerie, Berlin, 1980, no. 147, repro. The Robert and Jane Meyerhoff Collection: 1945 to 1995, National Gallery of Art, Washington, D.C., 1996, no. 120, color repro. Barnett Newman, Philadelphia Museum of Art; Tate Modern, London, 2002-2003, pl. 83.  In The Tower: Barnett Newman, National Gallery of Art, Washington, 2012-2013, no catalogue. Newman, Barnett. "The 14 Stations of the Cross, 1958-1966." Art News 65 (1966): 26, repro. Rosenberg, Harold. Barnett Newman. New York, 1978:160, repro. Strick, Jeremy. Twentieth Century Painting and Sculpture: Selections for the Tenth Anniversary of the East Building. Washington, D.C., 1989: 90 (accession number given incorrectly as 1985.65.1-15). Dillenberger, Jane. "Appearance and Disappearance of God in Western Art," in Image and Spirit in Sacred and Secular Art. New York, 1990: 104-107, repro. American Paintings: An Illustrated Catalogue. National Gallery of Art, Washington, 1992: 247, repro. Fineberg, Jonathan. Art Since 1940: Strategies of Being. Englewood Cliffs, NJ, 1995:106, repro. The Robert and Jane Meyerhoff Collection: 1945 to 1995. Exh. cat. National Gallery of Art, Washington, 1996: no. 120. Hand, John Oliver. National Gallery of Art: Master Paintings from the Collection. Washington and New York, 2004: 440-441, 447, no. 372, color repros. Kennicott, Philip. "'Stations of the Cross' Draws Pilgrims to the National Gallery. Washington Post 140, no. 132 (April 16, 2017): E9, color fig.